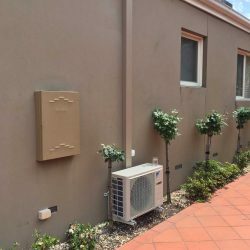 We provide a range of services in air conditioning heating and cooling, including supply & install of new systems, disconnection and removal of existing/old systems. We provide air conditioning for residential and small commercial customers. We have an extensive portfolio working with builders on new constructions. At Bay Air we can take care of all your electrical and air conditioning needs. We work with you to design a system that will best reflect your needs and budget. We provide a fast, professional and efficient service to ensure our clients are 100% satisfied with their choice. 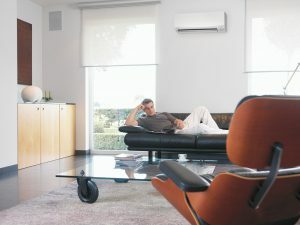 For ultimate climate control in Australian summers Daikin is the leading specialist manufacturer. A Daikin air conditioner absorbs heat from the inside air and dissipates it outside, leaving your home cooler. Advanced technology means your Daikin air conditioner can continue to cool your home in temperatures as high as 46 ºC. 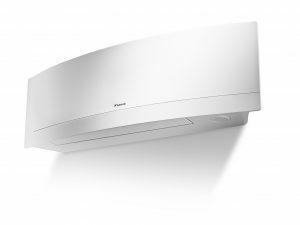 Daikin split systems is the heating choice this winter, designed to deliver maximum efficiency to save you money. 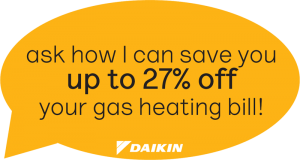 On average the Daikin Split Systems are 27% cheaper to run than gas convection heating, so your money stays where it belongs, in your pocket. 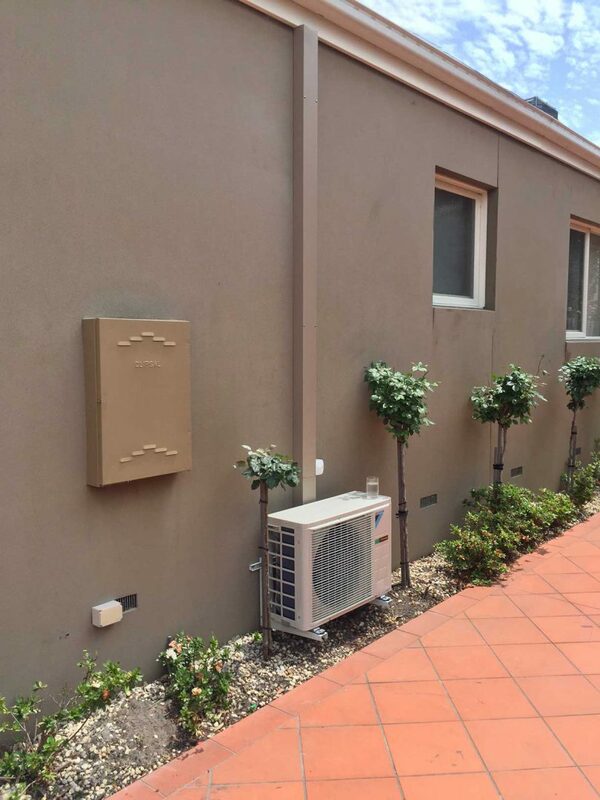 That’s the kind of benefit you should expect from the world’s No.1 air conditioning specialist. Air conditioners work better at maintaining a reasonable temperature than they do at causing drastic temperature changes (such as dropping the temperature from 45C to 20C after being off all day). Keeping your setting in the low 20s in winter and the mid 20s in summer will keep you comfortable while keeping air conditioner running costs reasonable. Regular service (including cleaning the filters) will make your air conditioner last longer and reduce the air conditioner running costs – just like your car. A regular 12 month service will make sure your system is operating at its best all year round. Clean your filters every 3-6 months to avoid unnecessary strain on your air conditioner and maintain optimum performance and longevity of your system. Limiting the heat your home is exposed to goes a long way towards reducing your air conditioner running costs. 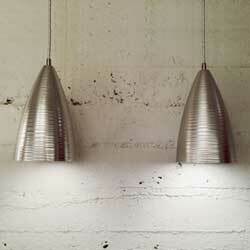 This can include: Insulation, including in the roof and walls – basically anywhere you can. Draw blinds and curtains to keep out the sun, add awnings to windows.